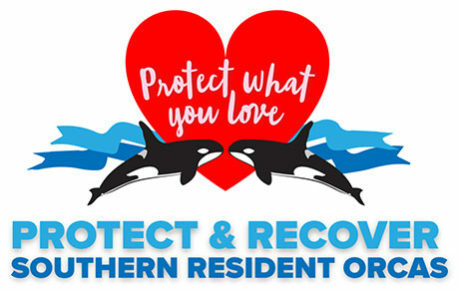 During Valentine’s week Friends of the San Juans will explore the plight of the Southern Resident orcas and engage the community in actions that can help their recovery. Lopez Island – Monday, February 11, 12 – 1:30 p.m.
Woodman Hall, 4102 Fisherman Bay Rd. Orcas Island – Tuesday, February 12, 12 – 1:30 p.m.
Orcas Senior Center, 62 Henry Rd. San Juan Island – Wednesday, February 13, Time 12-1:30 p.m. Since 1979, Friends of the San Juans has used science and policy to protect and preserve the San Juan Islands and Salish Sea for people and nature. Visit sanjuans.org for more information.